Recent review: Was on time. Dressed appropriately. Music was lovely. Very much recommended. The sound of a bagpipe has a certain magic and nostalgia to it. A festive Irish or Scottish event is made that much better with the sounds of the Scottish Highlands! Of course, no St. Patrick's Day celebration is complete without a rousing bagpiper. And in the somber time of a funeral or memorial service, bagpipes are a resonating and beautiful choice of music. 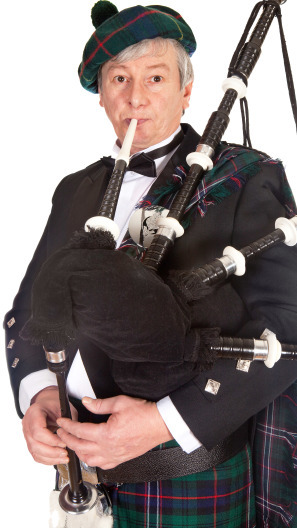 With such a unique sound and appearance, bagpipes make any event instantly more interesting. Search for Bagpipers in Atlanta, Georgia above. Please note that these Bagpipers may also travel to North Decatur, Hapeville, Panthersville, Avondale Estates, College Park, Conley, Scottdale, Vinings, Clarkston, Lake City, Red Oak, Pine Lake, Chamblee, Stone Mountain, Ellenwood, Morrow, Mableton, Tucker, Doraville, Rex, Riverdale, Lithonia, Redan, Union City, Austell, Jonesboro, Lithia Springs, Clarkdale, Stockbridge, and Norcross.